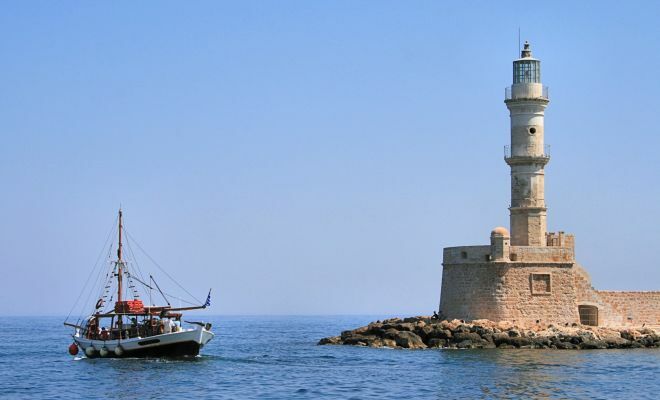 A 7 nights / 8 days holiday in west Crete that offers a rich mix of activities and experiences to keep the family excited. There is a balance between time in the charming town of Chania and time in the rural countryside and the beach, with a scenery that is wonderfully varied. 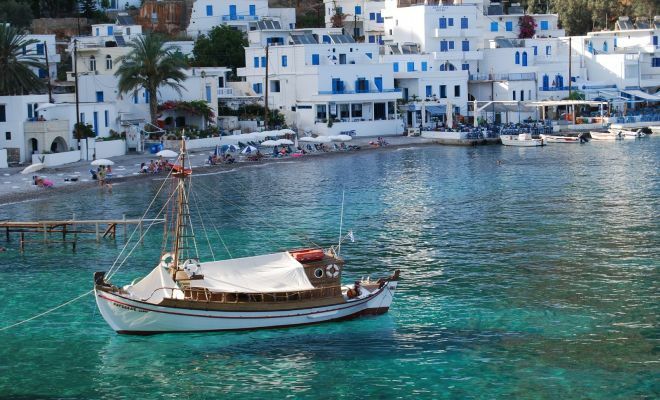 Soft adventure days that include hiking, biking and kayaking are combined with visits to museums, monasteries, local markets, farming estates, villages and welcoming family-run tavernas, offering a gentle insight into local culture. The itinerary features two privately guided day tours, participation in two of our regular small group tours and two days with car rental for you to explore on your own, if you wish. It is designed for families with children aged 8 and up but activities can be adjusted to suit younger kids too. The tour starts / ends in Chania. Arrival in Athens. Connecting flight to Chania in Crete. 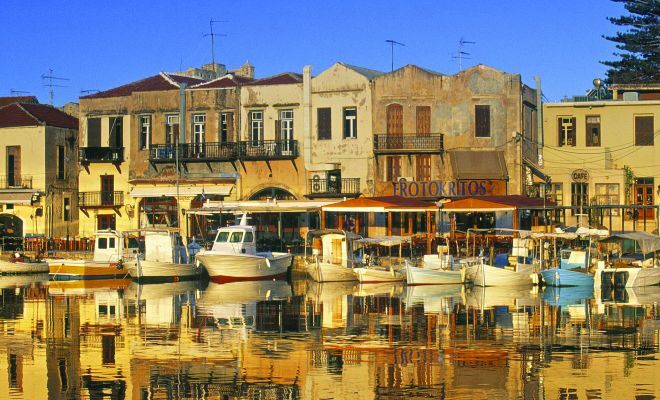 Upon arrival in Chania airport you will be transferred to your hotel, situated by the Venetian port of Chania. After your check in, our assistant will be at your disposal to go through the week’s program in details. 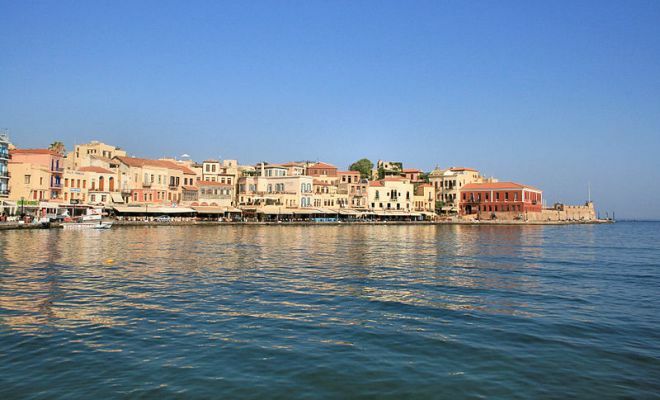 In the late afternoon we have a private walking tour around the old town to visit its main sites but also plenty of hidden spots off the beaten track, which reflect the mix of influences that has given Chania its very unique atmosphere. Dinner will follow, at a picturesque and cosy local restaurant. Overnight in Chania. In the morning you will have a car rental delivered at your hotel for the day, so you have the flexibility to take it as you please, from a day at leisure by a nearby beach to a full day tour to Knossos Palace in the east. What we suggest - presented in details by our assistant upon arrival - for the day is the short drive towards the Akrotiri peninsula, for a good combination of scenery, culture, hiking and beach. 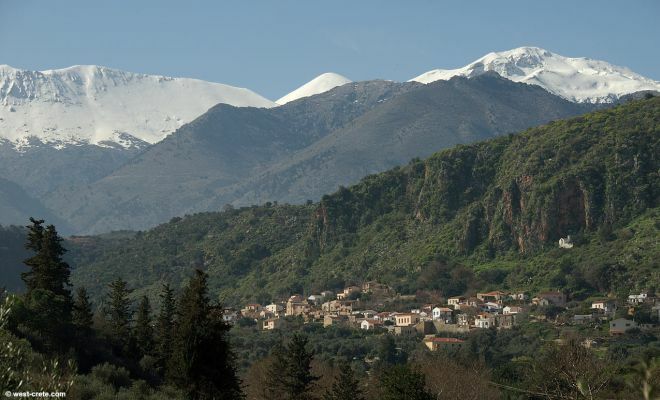 Your first stop will be the Monastery of Agia Triada. Built in the 17th century, with a majestic cruciform church, it is set on a wonderfully overgrown landscape of olive groves and cypress trees. The monastery is still flourishing and is well known for its intensive agricultural activity. Their produce includes wine, award-winning organic olive oil, balsamic vinegar, and green soap, which you could buy at the store in premises. Driving further into the hills on a narrow and winding road you will reach the smaller and older Monastery of Gouverneto, that resembles to a castle. From here you can set off for a nice hike. This can be as short as the 1 /2 hour footpath for you to only visit the Bear’s cave – named after a stalagmite that looks like a crouching bear – and the abandoned chapel of Katholiko. Or you can continue further through the Avlaki gorge, in a wild and beautiful landscape, till you reach a tiny, deep cove with aquamarine waters. You can end your day with a swim at the beautiful sandy beach of Marathi, and a delicious sea food lunch at its waterfront taverna. If you do not feel like driving, you have the option to organize the day with mini bus transfers instead, and could also add a private guide. Overnight in Chania. You will meet your guide and driver in the morning and depart the hotel for an exploration of Kissamos, the westernmost part of the island. Our first visit will be at an olive oil producing estate. It is an ecological prototype farm cultivated by 5th generation owners that promote the traditional way of organic olive oil production – the olive oil is stone milled and cold pressed. We will be guided around premises and have an olive-oil tasting. We then will get our bikes and helmets and start our cycling through scenic countryside, with olive fields and picturesque villages. The route is easy, on asphalt road, addressed to anyone with biking experience. The biking part lasts approximately 1 ½ hr and a support vehicle is following you. Our mini bus will then take us to the original hamlet of Milia, a retreat of traditional stone structures, carefully restored to naturally blend in with the surrounding environment and ecosystem. We will be guided around the premises and then enjoy our well earned lunch, prepared by the resident family with fresh local produce. Late afternoon return at the hotel. Evening free. Overnight in Chania. Early morning departure for Omalos plateau, to hike the spectacular Samaria Gorge, stretching from the White Mountains down to the Libyan Sea. Samaria Gorge is the largest gorge in Europe and one of the most beautiful ones. You will join a small group tour, escorted by a qualified hiking guide. The walk is on a well maintained path, through an impressively changing scenery. 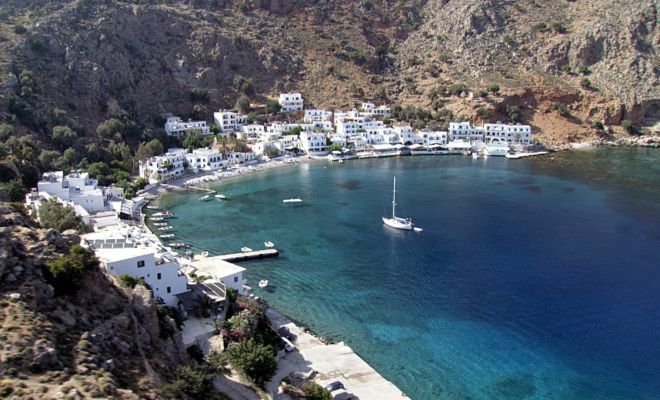 After a 18km walk in total, we reach the small coastal village of Agia Roumeli, where we can relax and enjoy a swim before catching the evening boat to Loutro. This 45min sail along the coastline offers some great views of rugged beaches. Your luggage will have arrived in Loutro in the early afternoon. Overnight in Loutro. Day free at your own leisure. Overnight in Loutro. We depart Loutro in the morning, for an exploration of the sparsely populated region province of Sfakia, to take in its rugged and unforgiving landscape lying from the south to the north, where places seem untouched by time and life continues in the traditional old ways. Our route will take us the ghost village of Aradena, abandoned in the 40’s because of a vendetta, with notable examples of Cretan architecture, then to the fertile plateau of Askifou, and the gorge of Imbros, through which in May 1941 stumbled the exhausted soldiers of the Allied armies, on a desperate retreat to the port of Sfakia. In the early afternoon we will reach our hotel for the next two nights, located in the heart of the small preserved village of Maheri, in Apokoronas province. Kamares is a traditional retreat of restored Venetian houses whose exemplary and long restoration was carried out with respect and love for traditional and environmental values The luxury of harmony and simplicity, the opportunity to sample authentic Cretan village life with your five senses, the chance to get in touch with nature are the keynotes of Kamares. A car will be delivered at the hotel, to be at your disposal for the rest of this and the coming day. Overnight in Maheri. In the morning you can explore the surrounding countryside and villages. 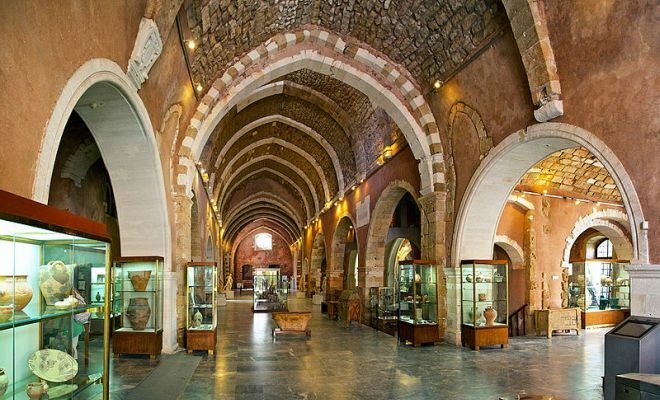 Your stops can include the archaeological site of Aptera to explore the exciting Achaean and Roman ruins, set on an impressive position with great vistas, the Byzantine chapel of Agios Nikolaos in Kyriakoselia, with its remarkable frescoes, the beautiful Gavalohori village with its charming folk museum. In the afternoon, we will have a fun garden-to-table cooking class in our small inn, preparing a number of typical dishes and learning a list of delicious recipes to bring back home. Dinner will follow. Overnight in Maheri.